Very nice Vincent. Some good stuff there. Nice, Ari! These are bluray steelbooks? 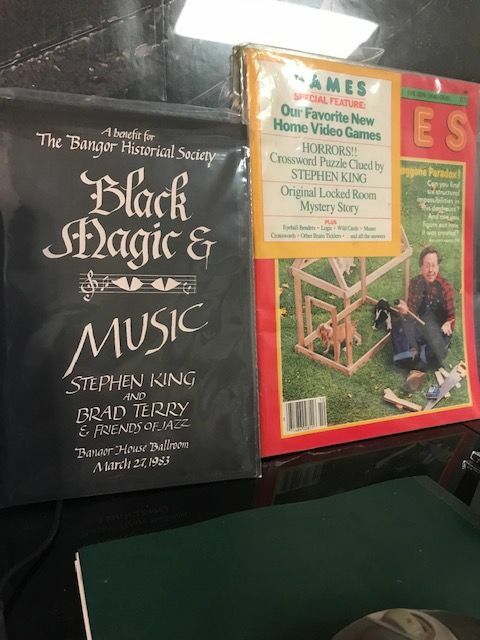 Not high demand items for a lot of folks, but after MANY years of collecting...I finally own a copy of Black Magic & Music containing King's non-fiction piece, "A Novelist's Prospective on Bangor" and the illusive (to me anyways) issue of Games magazine containing a crossword written by King. It's all in the hunt they say...so it's very nice that after 20 years, these pieces just fall into my lap! I pop into this thread and my mind is blown every time. Congrats everyone, amazing adds all round. Many congrats Jonathan, that one on Bangor from 1983 is very important on how IT came about. I've never seen the actual thing, thanks for sharing. This came yesterday. More pics in my collection thread. That headstone look is so cool looking. Congrats. 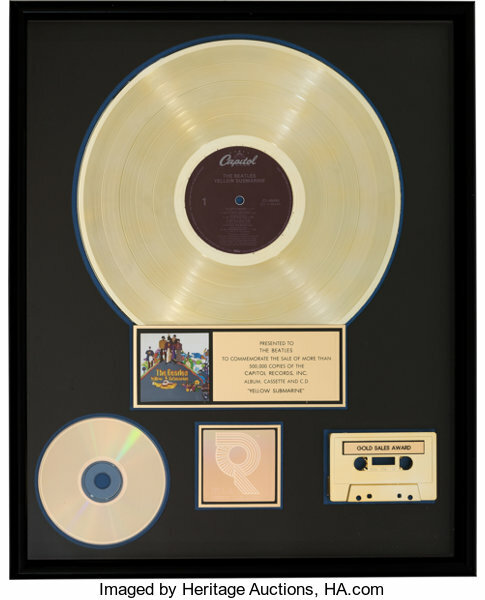 Totally not King related, but definitely a new P & J; legit Beatles Gold sales award, for the 1999 re-release of Yellow Submarine. Same auction they had original gold 45's for Penny Lane, Something, they had a Platinum White Album ... all were quite beyond my pocketbook. I stretched to get this one, and as a life-long Beatles fan couldn't be happier; this was definitely a checklist item.
. That’s amazing! Love it!!! Cool! How many of those exist? Just the one? Congratulations, George. Love The Beatles.